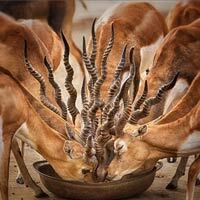 At mealtimes, black bucks rush and gather to eat and give good opportunities to photograph. This beautiful moment was captured by Nayyer Reza from Pakistan. 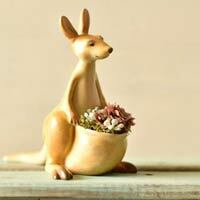 If you want to display a plant in a charming way, take a look at these nature-themed planters. Japanese shop Harimogura has crafted these beautiful animal planters in the shape of cats, frogs, birds, and other cute animals. 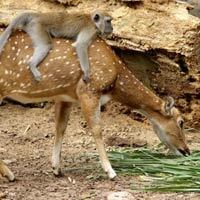 A cheeky monkey hitches a ride on a friendly deer. Carol Smith from Australia photographed the pair at Melaka Zoo, Malaysia.